Here’s a quick poll. Are you ready? Did you read THE FAULT IN OUR STARS, John Green’s blockbuster novel about two cancer-stricken teenagers who fall in love? And, if so, did you cry? Full disclosure. I adored the book, but I did not shed a tear. I seem to be in the minority, however. My extremely practical sister said she used half a box of tissues. All this got me to thinking about the very few books I’ve cried over. JANE EYRE when I read it in college. I only vaguely remember the plot now, but I recall sobbing my eyes out over how unjustly poor Jane was treated. CLEMENTINE by Sara Pennypacker. That scene where Clementine thinks her parents are going to ask her to leave? Gets me every time. FISH IN A TREE by Lynda Mullaly Hunt. I made it until page 159. I feel superior. I have friends who didn’t last that long. That was it. 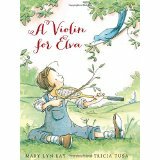 Until recently when I read A VIOLIN FOR ELVA, written by Mary Lyn Ray and illustrated by Tricia Tusa. The writing is top-shelf. Spare and evocative and precise. The first sentence says, “Above the ruffle of talk and the rustle of dresses, Elva heard music.” Wow. The plot is a master class in focus. There’s one problem. Elva wants to play the violin. Every scene and every action revolves around that plot point. Nothing else gets in the way. There’s a central, emotional theme of longing. In Elva’s case it’s a deferred dream, but anyone who has ever longed for anything will relate. Elva’s longing comes because while she’s wanted to play the violin since she first heard one as a child, she hasn’t been able to. At first, she pretends to play, using a tennis racket. Then she grows up and tries to forget her dream. Until one day, she just can’t. She buys a violin, and the picture of Elva hugging the violin on a busy street was the first place I got choked up. The second was when Elva takes lessons and performs in a recital where she’s the only adult student and … finally makes music. That’s when I choked up again. My last post was about books with heart, and this story definitely has some. And it goes a step farther by inciting sniffles. I think this story hits home because a lot of people have dreams that they’ve never pursued. Perfectly achievable ones that are almost too important to attempt. This book shows it’s never too late and that the payoff is worth the risk of beginning. So read this book and see if you cry. And tell me which books have made you cry in the comments. Mary Lyn Ray, Pat Zietlow Miller, Tricia Tusa. Bookmark. Love the books that make me cry. Little Dog Lost did it for me too. I will have to find Violin for Elva. Sounds wonderful. I want to read this! Thanks for sharing! Library Lion. Thanks for the recommendation! I love that this list keeps my reading list keeps growing longer. I almost choked up while reading your description of A Violin for Elva. Gotta read it. Thanks! LOVE this post, Pat. Books that make me cry: P. Polacco’s PINK AND SAY (every. darn. time.) and Maribeth Boelts’s BEFORE YOU WERE MINE. Have not seen this one! The Hana Hasimoto violin story is getting all the buzz and I will like to compare. Cannot make it through The Velveteen Rabbit without a tissue. I haven’t seen this book, but I’ll definitely look for it. Another book about dreams–and one that’s made me cry more than once–is Kristy Dempsey’s (illus Floyd Cooper) A DANCE LIKE STARLIGHT. The sense of longing in the MC is palpable. It’s stunning. Yes! That one is incredible. THE GARDENER, by Sarah Stewart and David Small, makes me cry every time I read it…and sometimes even when I just think about it! Great post! ROSIE REVERE ENGINEER by Andrea Beaty and David Roberts. Every stinking time. I’m going to look for A VILONIA FOR ELVA. Super post. Thanks! ^ THAT just made me cry! “Fault In Our Stars” is an amazing book, but I do not believe I cried. I felt uplifted upon reading it–and “spiritually inspired,” if that makes sense. What made me cry as a child? “Toby Tyler: Ten Weeks with a Circus.” There I was alone in my room, with my parents sound asleep above me, having to deal with what Toby had accidentally done to his beloved monkey. I LOVED The Fault in Our Stars, and I laughed, and I sobbed. I am a crier, though, I often weep when I read, from both sadness and joy. Another favorite that made me both laugh and cry is The One and Only Ivan, a perfect gem of a book. 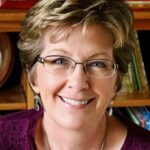 The list is far too long, but here are some cry-worthy favorites of mine: Walk Two Moons, OK for Now, Holes, We Are All Completely Beside Ourselves, The Lucky books by Susan Patron, Each Little Bird that Sings…. and some recent PBs: The Farmer & The Clown; The Right Word; Gaston; Knock Knock–My Dad’s Dream for Me; The Tree Lady… too many more to mention! I didn’t shed a tear reading “Fault in Our Stars,” but ran out of tissue with the movie. I’m so glad someone else had dry eyes reading the book, Pat. Now I’ve got to read “A Violin for Eva.” Loved your post! I cried a lot during Fault in Our Stars. There are books I tear up over when I think about them — Of Mice and Men, One for the Murphys, Bridges of Madison County. I hadn’t heard of A Violin for Elva, but I just ordered it from my library. Thanks for the post. Little Women, when Beth died. That’s the first (but definitely not the last) time I cried reading a book. This looks beautiful. Mary Lyn Ray is a soulful writer, and I love Tricia Tusa’s artwork. And I forgot another recent read: A Poem in Your Pocket by Margaret McNamara–so lovely! I remember the first book I ever cried while reading was Charlotte’s Web. I had to have been 9 or 10 and I did NOT see it coming. I also did not see tears coming and was alone on the couch in the living room and I quickly, embarrassedly ran to my room and finished reading it. I admit it. 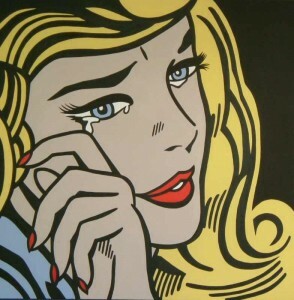 I’m a weeper, too. A trio of novels that reduced me to a blubbering mess are Little Women, Where the Red Fern Grows, and Miracle on Maple Hill. I look forward to reading Elva. Pat! Thank you so much for including FISH IN A TREE – I’m honored that you felt connected enough to the book to shed a tear. I have to say that I’m not a crier either but Katherine Paterson’s Bridge to Terabithia got me. Thanks, again! Liz Garton Scanlon’s NOODLE & LOU is a more recent read that had me snorting and sniffling all over my storytime kids. The last line reduces me to tears every time! 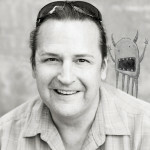 Awesome post, Pat! I also did not cry during ‘A Fault In Our Stars’, and also did in ‘Jane Eyre’. A lot more crying happened during ‘Wonder’, ‘The Miraculous Journey of Edward Tulane’, ‘The Lord of The Rings’, ‘Little Women’, ‘Grandpa Green’, always always ‘The Giving Tree’ . . . . I’m guessing I will add ‘A Violin for Elva’ to the list! Definitely Little Women when Beth dies, and also Goodnight Mister Tom–I cry every time I read it. In fact, I would go so far as to say that many of the books (novels) I read and reread as a child were the ones that made me cry–Little Women, Black Beauty (tho I wasn’t much of a horse person, living in Queens), and Jane Eyre, to name a few. This is a good post to think about, even tho just now I’m blanking on picture books that make me cry–thanks! The Sky is Everywhere made me cry…and not just once. I definitely want to read A VIOLIN FOR ELVA. It sounds amazing. Thanks for sharing the first sentence. It is beautiful. THE CARROT SEED made me cry. Also, STEVIE by John Steptoe had me balling my eyes out. A VIOLIN FOR ELVA sounds wonderful! My latest tear book was, Forever Dog. Couldn’t get past the 3rd page. And he has a lovely way of accepting the death of a pet. Wonderful book.